Are you in the market for a new phone? Or, with the holidays nearly upon us, are you considering getting one for someone you care about? Many people have struggled with deciding between two of the most popular phones this year, the iPhone 5 and the Samsung Galaxy SIII. Let’s see how they each measure up. While you’re looking, sell your old phone on [tp lang=”en” only=”y”]musicMagpie[/tp][tp not_in=”en”]musicMagpie[/tp] and get one of the following phones in time for Christmas. 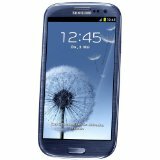 Hitting the market earlier this year, the Samsung Galaxy SIII was one of the most anticipated additions to the Android platform. It was sleek, slender, and very fast compared to phones in its class. It was also billed as having a top of the line camera. Upgrades from Google (Jelly Bean) and upcoming update from Samsung (Premium Suite) have improved the SIII’s capabilities no-end, adding the Siri beating ‘Google Now’, as well as an improved smoother UI. Apple’s upgrade to iOS6 was not as warmly received, with many billing it is a downgrade thanks to the loss of Google Maps. Apple have recently conceeded that it was mistake by releasing it in the App Store, watching it head straight to the top of the download charts. However, this will mean those that have put off upgrading their OS, will now happily do so. So which one should you choose this Christmas? The Galaxy SIII definitely delivers in terms of the promises outlined above. It offers incredibly high-speed graphics, outpacing the new HTC One X by nearly 100 more megapixels per second. It also offers a unique file-sharing system called S-Beam whereby you can tap two Galaxy SIIIs together to share files, even a high-definition video. The device also boasts an 8 megapixel camera, 2 Gbs of RAM and a quad-core 1.4 processor. The phone comes with either 16gb or 32gb (64gb to come soon) of internal storage, plus the option of a further 64gb by way of a micro SD card. The ability to watch a video in a pop out screen while using other apps is also a great new feature, taking the multi-tasking philosophy from the Galaxy Tab 10.1 and applying it across the range. Smart stay in another sign of Samsung’s impressive R&D budget, utlising the front-facing camera to see when are looking at your phone, keeping the backlight lit without the need to touch the screen. To conclude, while the cores components of the Samsung Galaxy SIII make it a world-class smartphone, it is the newest features that seem to bog it down. However, with updates such as Google Now and different battery options available, they are not nearly enough to sink Samsung’s flaship model. Apple’s newest star of the show made its debut this fall, with record-breaking preorders and lines at the Apple store that snaked all the way around the block. Apple called it “the biggest thing to happen to iPhone since iPhone.” But is all the hype justified? 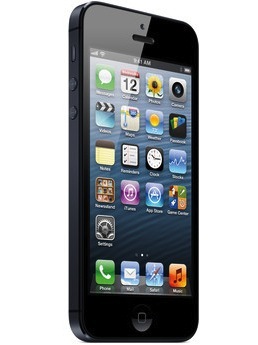 The iPhone 5 is smaller and lighter than almost any smartphone. It has all of Apple’s sleekness and elegance. It also has an A6 chip, with CPU and graphics that perform twice as fast as in previous iPhone models. It also has very fast wireless internet, iOS 6, an 8 megapixel iSight camera and a 4-inch retina display. Apple have truly outdone themselves with the new camera, featuring an excellent panoramic feature. It’s extra height will quieten Android fans who have been claiming that the iPhone is too small, and gives the user greater usability. Quite simply it is faster, lighter and bigger than the 4S, and loyal fans of the previous models will be won over quickly. With iPhone 5, there were a few problems that the company actually had to issue a public apology for. The newest version of Apple Maps, for example, gave false information about addresses and road conditions, to the point where Apple’s own CEO told customers to use Bing. Users also reported a glare on the camera that the software couldn’t correct. However, Apple is working to fix both of these things, and updates should be available soon. There were also complaints of models arriving scratched, and of course, with Apple Maps! The camera, whilst excellent is missing manual control (such as aperture, shutter and ISO controls) and for some that is frustrating. Both options are excellent smartphones, and feature comparable screens, performance, cameras & apps. Arguments could be made for both, especially with Google and Samsung’s updates, and Apple’s grudging inclusion of Google Maps. Advice? Go and try both phones for yourself, as this one comes down completely to personal choice. Both excel in their own way, and is not possible to definitely decide on one. Personally I think the SIII and Android clinches it, but many will disagree. Guest article written by: Matt, who’s a freelance writer with a keen interesting in technology, especially smart phones. Thnx for comparing but both gadgets look is great. and iphone 5 winner… not s3. I have a different opinion. I think SIII is the winner because its portability. The simple matter it has android makes it more Flexible. I have nothing against Apple, but I find it more difficult to handle than Android. Daniel recently posted… Earphone manufacturer comparison. Which is the best option for you? Having used both the iPhone and Samsung Galaxy, I think the products shouldn’t be compared. I really like the user interface of iPhone – very easy and high functionality – even a child can use it. Samsung Galaxy has far too complicated features and I love them too. They are ideal for those who understand technology well. Also I don’t like the speaker of Samsung Galaxy. They need to improve on that. I totally agree with Daniel , I also think that SIII is the sureshot winner , as the scope of android has been increasing at a very rapid speed and more over the type technology brought in by Samsung is advanced like S beam , and Eye close technology. And I think Iphone 5 is a good phone , and could have been more good, but Apple Maps have ruined the whole platform. Thanks for the review. This has made my choice for buying a new phone a lot easier. I currently am the not-so-proud owner of an old Sony Ericsson cellphone that weighs as much as a small brick. I really need to get me one of these. i also learned Samsung Galaxy SIII vs iPhone 5 difference. they have big advantages. thanks for share it. i want to buy a new smartphones with lots of features and new tschnology. i was confused between samsung s3 and iphone 5. but thanks for the review. This has made my choice for buying a new phone a lot easier. I would still prefer the Galaxy S3, and I will buy one pretty soon. iPhone 5 is not appealing to me at all, and I’m really disappointed that Apple has ruined the clean design of the iPhone with their iPhone 5. I would go for s3 for its soft features,killer apps & impressive design at better price. Next post: Sony NEX-5R – the best compact camera yet?